Flowers tv placed at second position as per latest trp ratings, top singer flowers show become viral within short time. All the youtube videos related with top singer show getting massive views, it’s available through official channel of flowers tv. 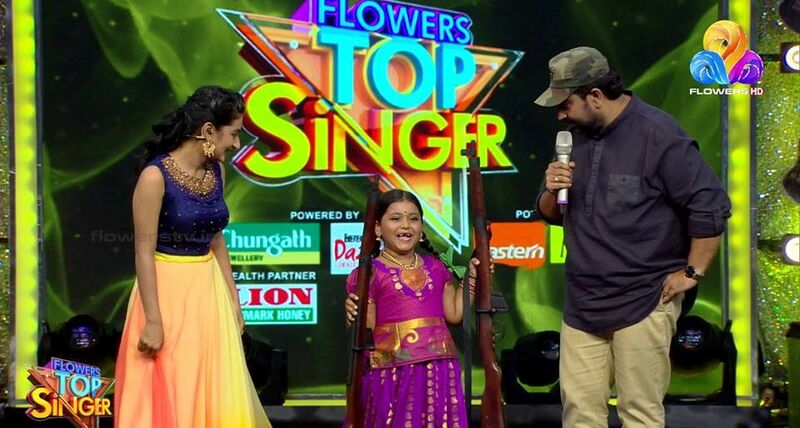 In our previous post discussed about the trp ratings of the show, Music director M jayachandran, Singer MG Sreekumar, Singer Sithara are the judges of the show. 24 News Channel is the latest offering from insight media city. It will start very soon and available through all leading leading cable/dth platforms. Link for official youtube account of flowers television is https://www.youtube.com/channel/UCSrS91iCgFCv_3KwjWWHzSg you can subscribe to this channel and get notification for all latest uploads. Once subscribed you will get notifications for latest episodes of flowers tv top singer reality show. Krishna Diya, Seetha Lekhmi, Aditi Nair, Ananaya Nair, Sreehari, Rithu Raj, Shivani B Sanjeev, Vaishnavi, Sreya, Theertha, Asna, Aiswarya, Kaushik S Vinod, Jennifer, Krishna Diya, Anand Bhairav, Seetha Lakshmi, Sree Bhavan, Adarsh, Gowri Krishna, Nehal are the contestants of the show. After the huge success of Uppum mulakum and comedy utsavam, this channel got another hot program. None of the serials doing any impact at trp charts. Asianet is leading the rating charts, another player zee keralam is entering the market from 26th november 2018 onward.